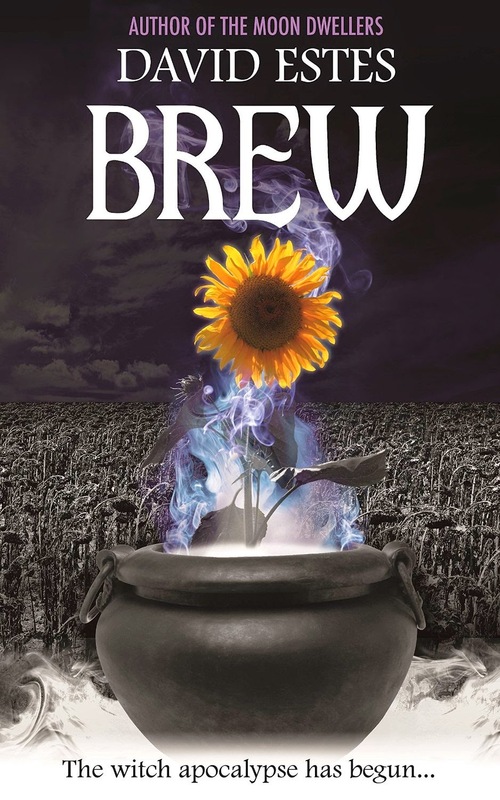 Brew (Salem's Revenge #1) by David Estes is available at Amazon. Salem’s Revenge strikes without warning or mercy, ravaging the powerless human race under the forces of united gangs of witches, wizards, and warlocks. During the slaughter, Rhett Carter's foster parents and sister are killed, and his best friend and girlfriend are abducted by a gang of witches calling themselves the Necromancers, who deal in the dark magic of raising the dead. Rhett’s sword-wielding neighbor with a mysterious past saves Rhett from becoming another casualty of the massacre and teaches him the skills he needs to survive in this new world. Rhett is broken, his normal high school life of book blogging and football playing shoved in a witch-apocalyptic blender. The only thing he has left is his burning desire for revenge. Armed with his new witch hunting skills and a loyal, magic powered dog named Hex, he sets out into the unknown with one mission: hunt and destroy those who took away everyone he ever loved. But Rhett isn’t just a witch hunter; he has secrets of his own that he has yet to discover, secrets that his enemies will stop at nothing to keep him from. And discovering the truth about himself is the human race’s only hope. Brew is the first book of the Salem's Revenge series. Don't expect to get all of the answers in this book. This is also the first book I've read by Estes, who has been on my to-read list since the publication of The Moon Dwellers, and I received a free copy in exchange for a review. I've already bought the second book in this series (Boil) and I'm backtracking to read The Dwellers series. I open the book to find the main character, Rhett Carter, traveling through my home state -West Virginia- and Estes doesn't depict us Mountaineers as being all barefoot, toothless, and redneck. He can't show that stereotype, mostly because the whole world has gone to poo and life as we know is gone (Morgantown gets some face-time in this book). The humans and witches we see are state-less; everyone is uprooted so anyone could be from anywhere. There's a war between humans and witches: some humans are mean to witches and the witches retaliate by being nastier and meaner. Estes' witches aren't rooted in the actual practice of witchcraft. Think of the Halloween stereotypes of witches. Estes' witches aren't even like them, except for their fear-factor. Estes builds his own mythos for these witches but the way he uses plot reminds me of Rick Riordan (minus the play on classical mythology). And, like Riordan, this book/series would translate well to the big screen, requiring a lot of nifty special effects. Estes draws out the introspective moments more than Riordan would, which emphasizes a roller-coaster effect on the story. Estes continuously sows the seeds for good witches (and humans) to appear at a later time and I can't wait to see them. My favorite characters are witches and a warlock: the last Claire (who might be from West Virginia, hence my interest), the Siren, and the Cursed Warl. I want to know where these characters are going.